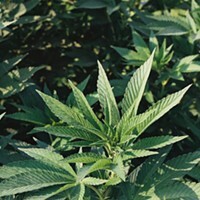 In the three years since Cuomo launched the industrial hemp research initiative in New York State, providing grant funding to incentivize growers and processors of the plant, CBD has cropped up all over the place. CBD coffee, teas, gummies, matcha shakes, you name it—and with anti-anxiety, anti-inflammatory, and general peace-inducing effects, who could use a little bit of cannabidiol in their life? Especially when it comes in the form of chocolate. 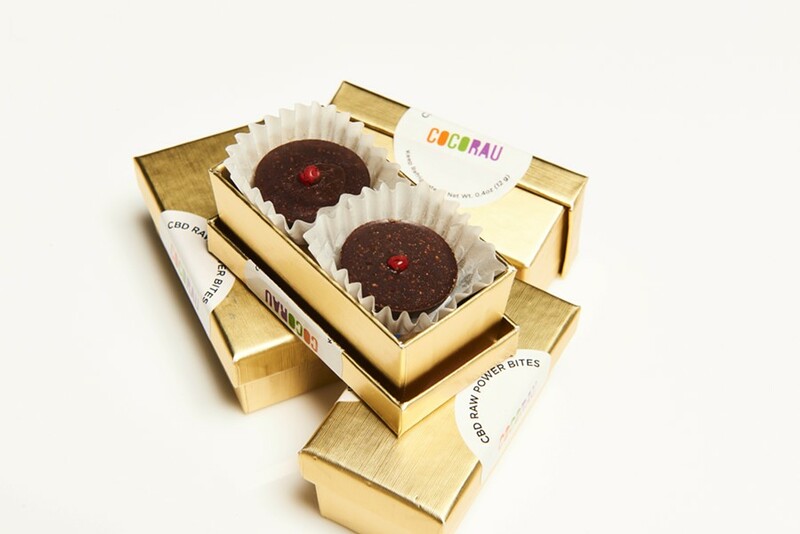 This holiday season, give someone on your list a tasty gift of relaxation with a CBD starter pack of CBD-infused raw cacao bites and adaptogenic elixirs from Marbletown-based company COCORAU. A native of Salzburg, Austria, Konstanze Zeller began her professional life in her family's hair salon. Buzzing with energy and ambition, she left Austria for Berlin, where she mastered make-up artistry before skipping over to New York City to enter the high-stakes world of fashion photography and print advertising. Ten years in, burn out, back pain, and chronic laryngitis led Zeller to seek out alternative healing modalities. Working with a naturopath, she went on a detox diet for seven months and studied everything she could about the connection between food and wellness. "When I finished the detox and felt healthy again, I was craving chocolate, but I didn't want to eat sugar or any other additives," she explains. While traveling for assignments around the world, she had become acquainted with the sustaining powers and healthy nutrients of raw cacao. So she decided to make her own treats—sugar-free, raw cacao bites. Zeller brought the chocolates with her when she went back to work, sharing them on photo shoots, where they were eagerly devoured by photographers and models alike, who appreciated the luxurious flavors and the sustained energy and nutrition. Realizing there was a market for her health-supportive treats, in 2014, Zeller launched COCORAU. 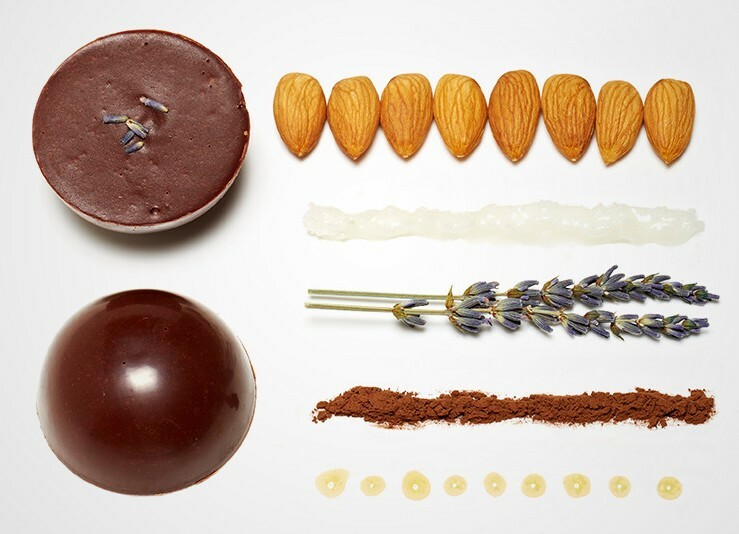 Her signature raw, nutrient-dense cacao bites come in four gourmet flavors: lavender, matcha tea, orange bliss, and espresso. Dubbed the Raw Couture Collection, they have yogic names like “So Ham” and “Lakshmi.” These superfood nibbles are made using a base of organic, Fair Trade raw cacao, which is never heated above body temperature, and therefore retains all of its natural enzymes, antioxidants, and nutrients. 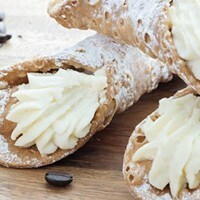 The bites are also gluten-, soy-, sugar-, dairy-, and GMO-free. Zeller has also developed a line of adaptogenic powders called Immortal Elixirs. “I always had passion for adaptogenic herbs,” she says. The powders, which can be added to water, tea, or a smoothie, are made with Ayurvedic and Chinese medicinal herbs that improve vitality and help the body heal itself. Choose from Holy Body powder to detoxify the liver, cleanse the body, and enhance overall well-being; the Sensual Supreme Powder, an aphrodisiac blend that increases energy and sensuality; or the Superlative Beauty Powder, made from a mix of mushrooms that contribute to cellular renewal, healthy collagen, and longevity. One of the commissaries Zeller worked out of was The Alchemist’s Kitchen, which produces wildcrafted herbal remedies, botanical tinctures, and other naturopathic medicines. The CEO, Lou Sagar, was one of the early adopters of CBD in New York City launching a line of super concentrated CBD oils called Plant Alchemy and founding the Bowery Cannabis Club. In her time there, Zeller attended various seminars on the uses and benefits of the hemp compound, and The Alchemist’s Kitchen even commissioned her create a CBD cacao bite for them. Zeller has since perfected this product and now sells in under her own label. Made with full-spectrum CBD oil distillate, COCORAU’s CBD bites contain 10mg of CBD and are made with raw cacao and raw honey. Several months ago, Zeller debuted the CBD Sublime Elixir, which 99% pure cannabidiol isolate. 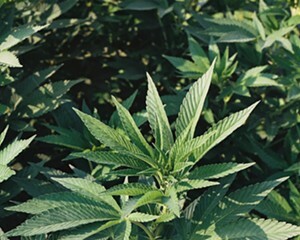 This comes in the crystalline form from the local, certified organic grower Hudson Hemp. The elixir combines the immune-boosting benefits of herbs with the calming effect of CBD for a well-rounded and tasty concoction. 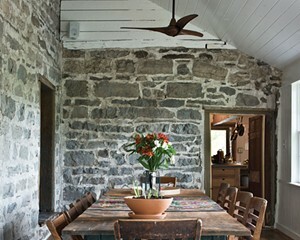 COCORAU is available a handful of boutique wellness shops, apothecaries, and spas in the city and seven locations upstate including Outdated Lite in Kingston, Olsen and Company in Saugerties, Sunflower Market in Woodstock, and Omega Institute in Rhinebeck. 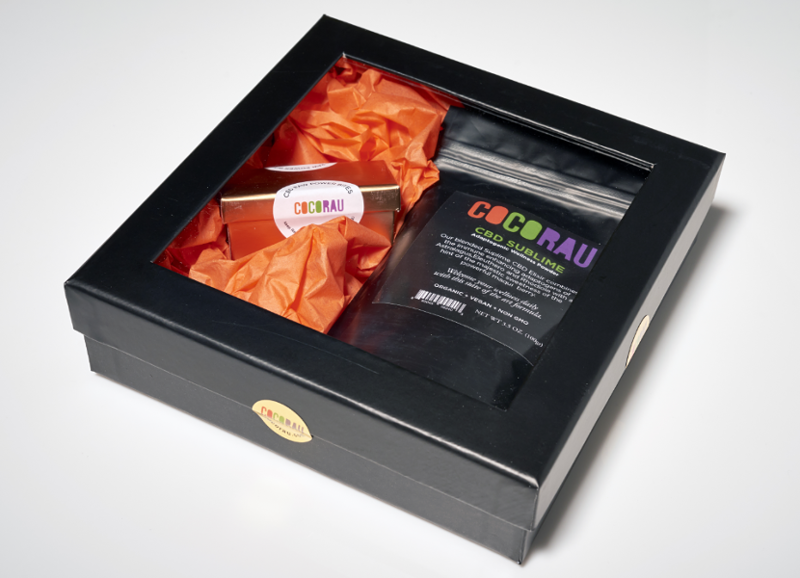 Or check out the CBD Luxury Gift Box and the other COCORAU products online. For other locally made CBD gift ideas check out High Tea's herbal CBD teas or Reverie's CBD coffee.